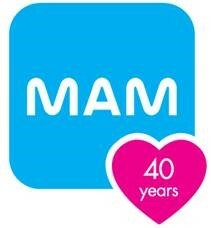 MAM, the maker of attractive and effective baby products, is hosting 2 giveaways! If you have a unique pregnancy announcement or would like to win a pack of pacifiers, read the information and follow the instructions. Pregnancy announcements are an opportunity for parents to creatively share their happy news with friends and family. Share your announcement with MAM and they'll select three winners to win a $100 prepaid card and a $50 pack of MAM goodies!